Blockmaster's little SafeStick USB flash drive may not be particularly sticky in the wood sense, but it sure is safe. 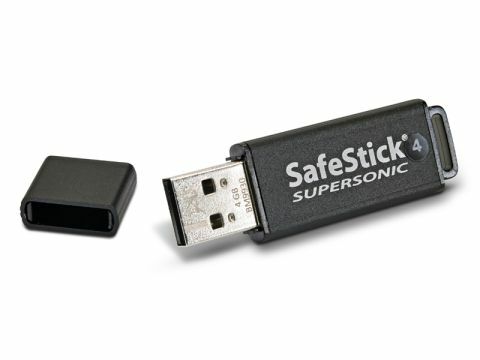 As a portable key to transport valuable and/or sensitive data around, for the serially forgetful – or just work for the British government – the SafeStick 4GB drive is a handy device indeed. The idea is that rather than simple software encryption, the Blockmaster's key comes with full AES256 CBC hardware encryption. It's an always-on form of protection which means that as soon as the stick is removed from a system or device the hardware protection is there. When the drive is plugged back in again, but not logged in, all you will see when clicking the drive is the login application and no hint of any other storage capacity. I tried a few basic tools and the command prompt to see if I could at least see where the files were, but unless you enter the password it simply doesn't exist. It's easy enough security measure to set up, asking you to create a secure alpha/numeric password to begin with and then you're set up. Make sure it's something you'll remember, especially if you are looking after important or sensitive data on the drive, as there's no password reset option. If you forget it then a factory reset is your only hope, and that will wipe all of your precious data. The difficulty we have with this USB stick, though, is in the price. At £74 that makes it a rather astonishing £18.50 per gigabyte of storage space. But then this isn't a capacity drive, it's a security drive and so long as your sensitive data isn't on the too chunky side the SafeStick USB drive should serve you well.